Tuccillo returns to Visionquest this summer with his ‘Full Time’ EP, comprised of three compositions from the Italian producer. Over his 15-year career, Tuccillo has established himself as one of the most recognised, in-demand producers and DJ’s of the underground, combining distinctive analogue and digital sounds to create a blend of deep, stylish and unique house music. With a number of notable releases on his own imprint Unblock and various other releases being snapped up by labels like Holic Trax and Get Physical, Tuccillo’s return to Visionquest with his latest EP is a welcome addition to his already acclaimed discography. 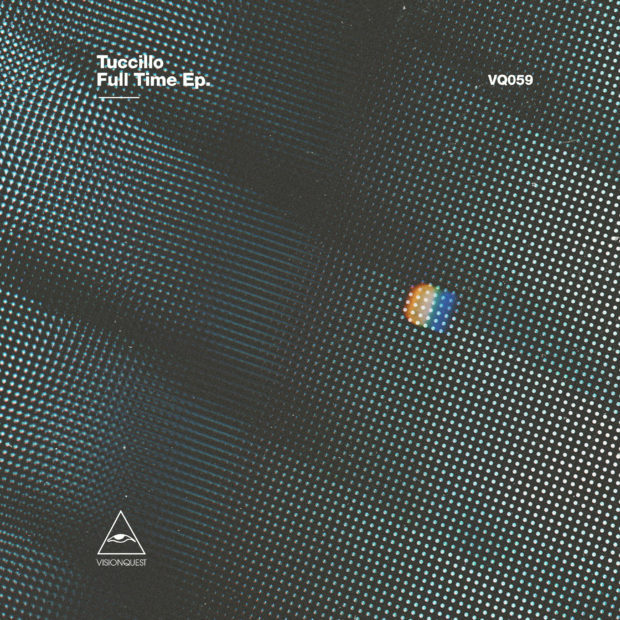 Having previously released collaborations with Shaun Reeves and Visionquest for the label, Tuccillo’s solo project for the label, the ‘Full Time’ EP is a worthy soundtrack aimed squarely at the dance floor. The opener ‘Keep It Down’ sets the tone with a crisp, hypnotic bass line, gradually layering percussive grooves and retro chords – creating a stripped-back, infectious rhythm that gradually concludes with resonating rugged drum lines. Next up, ‘Take DB’ takes the EP in a slightly darker direction – employing a rumbling bass line and haunting vocals, building up to sun-soaked soulful synth lines, but quickly returning to grittier, robust sounds, resulting in a 7-minute trip of diverse and intriguing soundscapes. The closing track on the EP is ‘Full Time’ – the heavyweight title track fuelled by an echoing moody bass line and accentuated with distorted glitches and a heady, captivating rhythm to round off the EP with a punch. Tuccillo’s ‘Full Time’ EP is forthcoming on vinyl on the 22nd July, followed by a digital release on the 5th August.